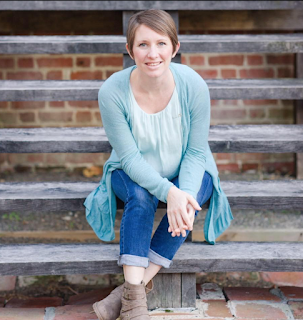 "A More Christlike God has been, hands down, the most influential book in my life, ever." 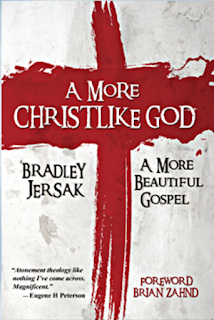 I stumbled upon Brad Jersak's A More Christlike God through an interview he did with Peter Enns about the book. 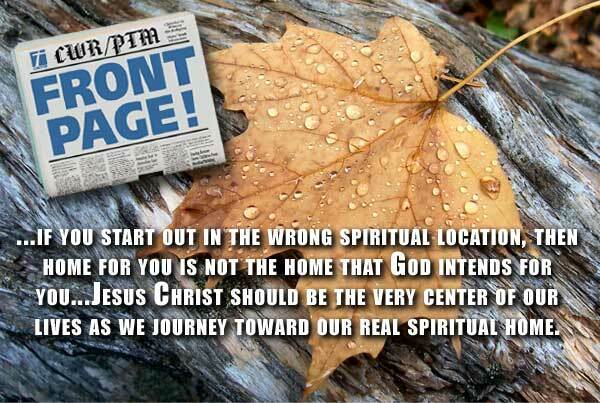 I grew up in a Christian home. My parents used to be on staff with para-church ministry to youth, and my dad is now leading the men's ministry at a church in Baltimore. This past year has brought an immense amount of suffering to our family (my husband and I have 4 boys) and shattered everything I have ever known or thought about God. 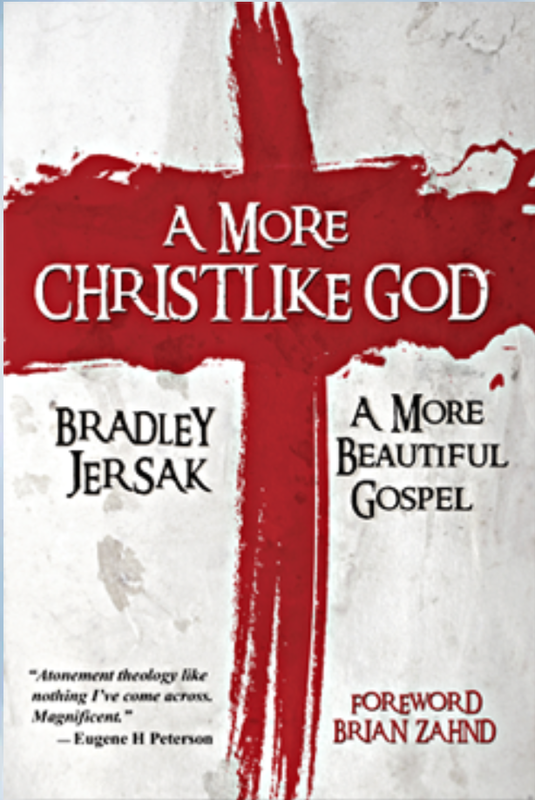 I have listened to several of Brad's podcasts and have read A More Christlike God. I have to say it couldn't have come at a better time. My dad went through a similar journey several years ago and almost lost a previous job because he said, "I will never again tell a kid God was mad at them and that Jesus had to 'save' them from Gods wrath." All that to say, I am so grateful for this book and the journey that brought it about. It has brought refreshment to my soul and in Brad's words, "I don't hate God anymore." Brad, thank you for sharing your journey and what you have learned. I have passed several of your podcast interviews along to my dad and he is so thrilled that others are preaching this! I look forward to studying more of your stuff! Understanding Theological (and Political) Anger - Brad Jersak and Floris Kersloot. The following are my takeaways from advice I received from my psychologist friend, Floris Kersloot. The topic was on how to understand and respond as peace-builders when faced with angry reactions over theological (or political) convictions. Even when (and especially when) sharing something so basic and central to Christianity as "God is love" or "Jesus calls us away from violence into cruciform enemy love," we often see people of faith and good will triggered into what seems like inexplicable anger and defensiveness. For theological perspectives to cause angry reactions rather than lively discussions should seem strange. What 'code' might we find that unlocks the closed door of reactivity and opens the door to authentic dialogue? Normally, emotional reactions ask for an alternative emotional response. For example, fear asks for assurance, grief asks for comfort. What does anger ask for? Understanding. This can be very difficult to offer when someone is freaking out at you. But it is growing edge of those who would be peacemakers. Not to answer reactions with reactions, but with 'the other cheek' of understanding. How so? We ask (ourselves or the other), "Where is the anger is coming from?" It's not simple disagreement. Something is happening at the heart level ... there's a backstory of some sort. 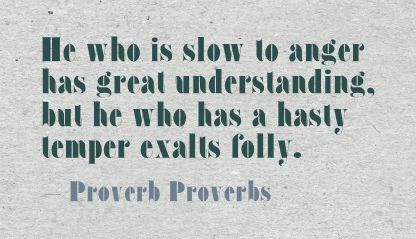 Usually the anger arises from some deeper need or longing or fear. From there, we might explore the possibility that we share a common longing or concern, even with someone on the opposite end of the theological (or political) spectrum. [We ought also critique and transcend the spectrum itself]. For example, the shared longing between me and my wackiest (;-) friends might be our hatred of injustice and our desire to see the world set right. On that level, we might communicate this common ground by sharing stories that energize these longings and emotions. The exchange of understanding at that point defuses the anger. Our heart has been heard. Perhaps then the real debate can begin. For example, we may still disagree on HOW injustice can be (has been) addressed and what it takes to heal the world. We may still disagree on how it will happen, but by understanding that we agree that it should, the discussion may move from heat to light if we are willing (some are not if the real issue is ego-centric -- 'I need to be right'). Some of my friends (still friends and not angry) continue to differ because we operate on different assumptions. These too can be shared. For example, our perspectives are so often informed by assumptions about how we read the Bible. In such cases, we ought to say, "we have such different ways of approaching and interpreting this text," rather than "you are unfaithful" or "unbiblical." When I accuse someone of 'literalism' and am accused of 'liberalism,' neither of us feel understood and anger lurks. But if we understand that neither of us intends to throw the text under the bus, maybe we'll stay cool enough to actually look at it together. 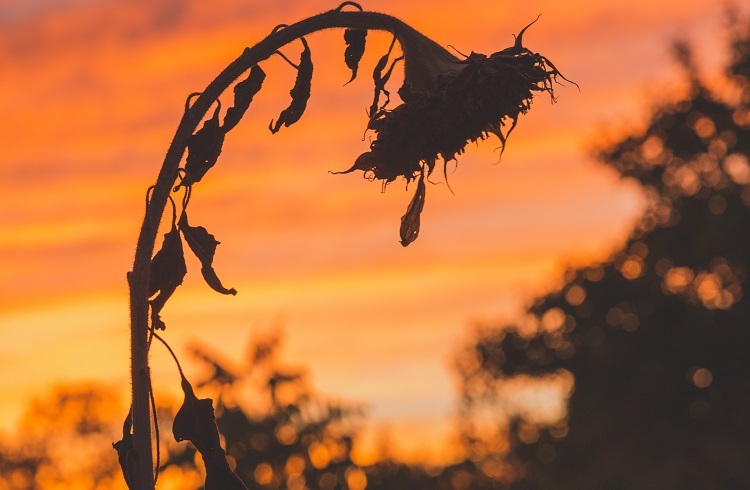 Then maybe we'll avoid the presumption of those who wanted to prematurely separate the wheat and tares (Matthew 23:24-30), heeding instead the advice of the Master that says we're not wise enough for such us/them discernment. Better that we grow together until the harvest. We can also share how we'd like to be understood. For example, I would like to be understood this way: my perspective begins at the cross as a revelation of the nature of God as self-giving, radically forgiving, co-suffering love and the power of the resurrection to overcome evil with good. And these are to be transposed into the life of daily discipleship through the transforming grace of the Holy Spirit. By taking the permission to share this, I must also be willing to give that same permission. "How do you like to be understood." 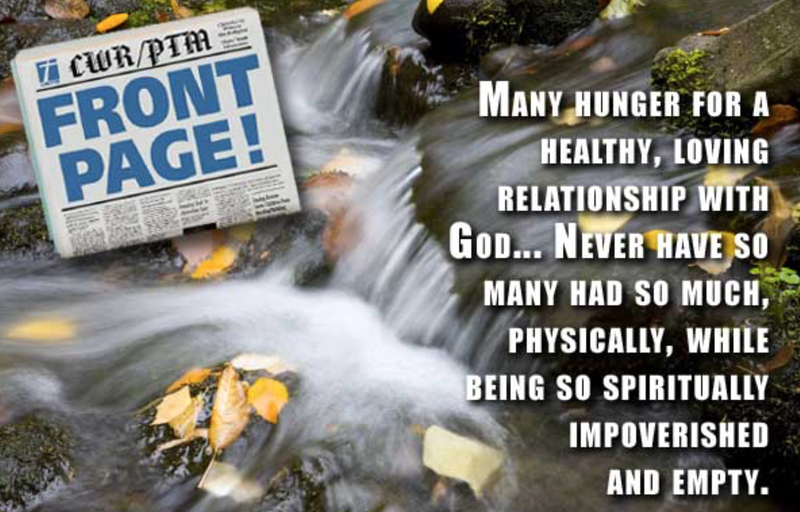 You can see then that this is not merely about sharing information, but actually co-ministering understanding to our longings and desires, fears and wounds (before anger pre-sabotages communication). Here's a basic test: am I moving toward love or moving away from it? Am I deconstructing an idea, or am I tearing down a person? Am I building my ego by winning an argument, or building a relationship by listening as carefully as I'm telling? Blessed are the peace-builders; they will be called sons and daughters of God. ﻿For the LORD your God is bringing you into a good land—a land with streams and pools of water, with springs flowing in the valleys and hills; a land with wheat and barley, vines and fig trees, pomegranates, olive oil and honey; a land where bread will not be scarce and you will lack nothing; a land where the rocks are iron and you can dig copper out of the hills. The national holiday of Thanksgiving, observed in October in Canada and November in the United States, can be a time for us to take a careful look at how God works in our lives. This holiday can also remind us how God feeds us with the spiritual food we need. Sometimes he feeds us with spiritual food we don't always expect or want, but it is, nonetheless, spiritual food we always need. Thanksgiving is a wonderful time for us to carefully look at God's gracious work in our lives, even when his gracious work may offend our religious sensitivities, even when his love overwhelms the status quo of what we think God ought to do and ought not to do. On the surface, Thanksgiving is devoted to giving thanks for our food, our shelter, our health, our clothing. Thanksgiving reminds us of a time when our ancestors lived on the edge, a time when severe hunger loomed on the horizon. Editor's note: When approaching the Sermon on the Mount, two opposing ditches need to be avoided. One is adopting the Sermon as a new Law (to attain righteousness); the other is rejecting it as an impossible Law (negated by grace and the Cross). In the following excerpt, Eberhard Arnold steers between these errors, urging us along the grace-empowered Jesus Way. In that sense, the Sermon on the Mount is Christ's version of Paul's "fruit of the Spirit" (Galatians 6). It is the life of Christ-in-me, lived by those who "abide in the Vine" (John 15). That life, the salt and light life in Christ, was described for us by Christ himself in this Sermon as the foundation for Christian cruciform discipleship. Excerpt from Eberhard Arnold's Salt and Light: Living the Sermon on the Mount (Plough Publishing House). How do we respond to the Sermon on the Mount? 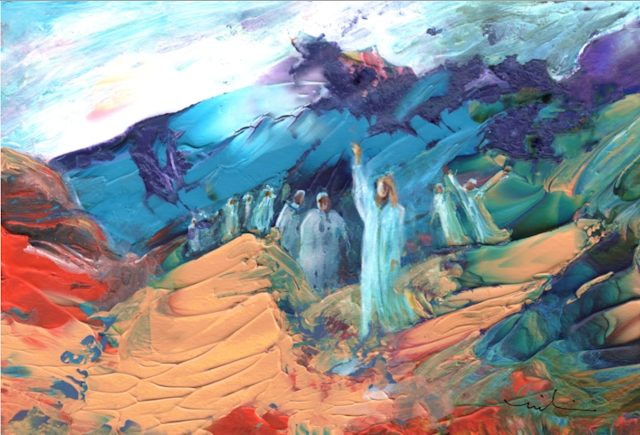 The Sermon on the Mount is the first step on the way to discipleship. ... If we fully grasp the Sermon on the Mount and believe it, then nothing can frighten us -- neither our own self-recognition, nor financial threats, nor our personal weakness. The dedication demanded in the Sermon on the Mount is not a new law or moral teaching. Instead it is forgiveness. Its vital element is the light and warmth of the Holy Spirit. 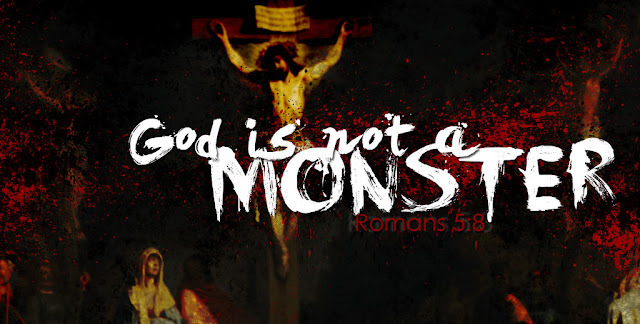 Here is Christ: the essence of salt, and the strength of the tree that bears good fruit. The Sermon on the Mount shows us the character of a community, which shines like a light for the whole world. The Sermon on the Mount is not a high-tension moralism, but we must grasp it as the revelation of God's real power in human life. If we take our surrender to God seriously and allow him to enter our lives as light, as the only energy which makes new life possible, then we will be able [empowered] to live the new life. If we see the Sermon on the Mount as five new commandments, as the Tolstoyans do, we will fall right into a trap. For in his book My Religion, Leo Tolstoy lists the commandments of Jesus from the Sermon on the Mount as five new laws: peacefulness with others, sexual purity and marital faithfulness, the refusal to swear oaths, non-resistance to evil, and love for one's enemies. But Jesus shows us that the clarity and demands of the old laws are not weakened by his coming into the world; instead they are infinitely sharpened. Moreover, these are only five examples -- there could be five hundred or five thousand -- revealing the powerful effect of God's work in Christ. His righteousness, his justice, is better than anything scholars or theologians could offer. It is something absolutely different, and it does not depend on moral intentions and good ideas. The righteousness of the law can be fulfilled only through a new, organic way of living, through a life from God that flares up like light and sears and purifies like salt. It is like a flame that shines, like the sap that pulses through a tree. It is life! Spoken Oct. 27, 1935, at the Rhön Bruderhof. What if there were an Apocalypse and Jesus didn’t return? Take a physical and spiritual expedition through a dystopian world in the inspiring and satirical new book, The Remnant, by Monte Wolverton. A cataclysmic war, natural disasters and pandemics eradicated 90 percent of earth’s population. Now, in 2131, a totalitarian government rules the world. Grant Cochrin leads his family and friends to escape and embark on a long, dangerous quest for a Christian community. Their resource in this journey? A cherished page torn from the now banished Bible. In the year 2069 the Apocalypse came and went, but Jesus didn’t show up, as some expected. Instead, a cataclysmic war, natural disasters and pandemics eradicated 90 percent of earth’s population. Now, in 2131, a totalitarian government rules the world from the majestic, opulent capitol of Carthage, Tunisia. Blamed for igniting the war, religion and religious books are banned. Citizens who will not renounce their religion are sent to work camps. Grant Cochrin, imprisoned in a bleak petroleum camp in what was once North Dakota, leads his family and friends to escape and embark on a long, dangerous quest for a Christian community. Their resource in this journey? A cherished page torn from the now banished Bible—a remnant of Jesus’ Sermon on the Mount handed down from Grant’s grandparents. What if there were an Apocalypse and Jesus didn’t return? What if the survivors found themselves living in a world ruled by a totalitarian government, where religion is forbidden and all religious texts have been destroyed? 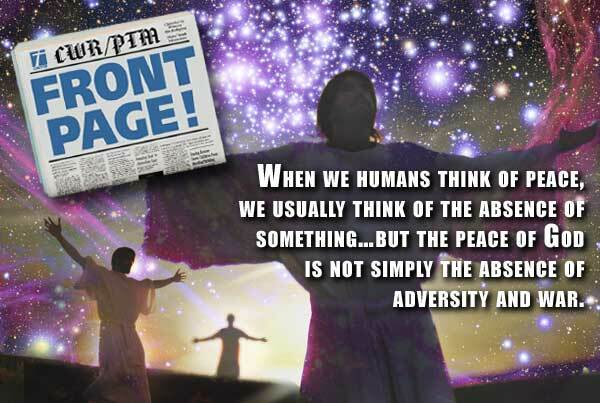 In The Remnant, award-winning author Monte Wolverton tells the tale of a band of concentration camp escapees who trek through the lawless American wilderness on a quest for authentic Christianity, only to come face to face with an unthinkable dilemma. The Remnant is a fast-paced story punctuated with dry satire, memorable characters and hard questions about religious institutions. Monte Wolverton is an award-winning author and syndicated editorial cartoonist. 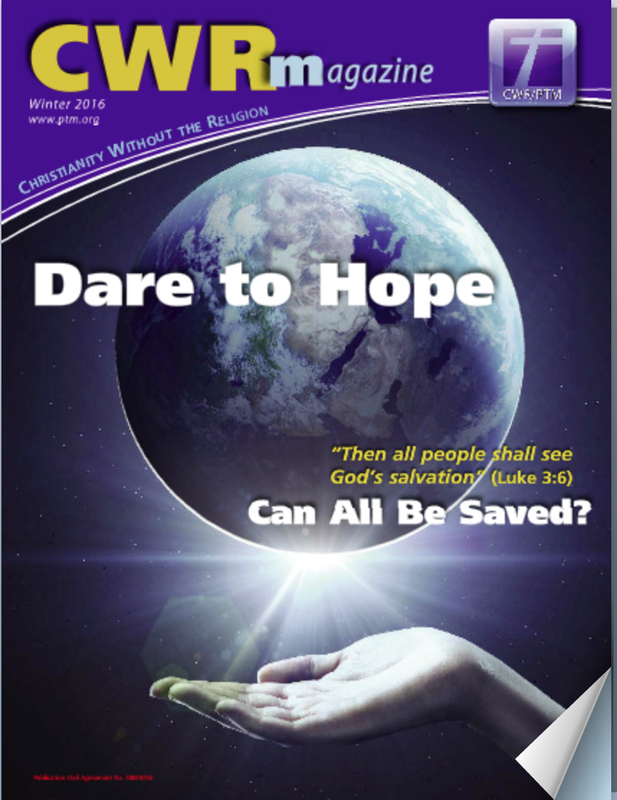 He is associate editor of CWR magazine. He is an ordained minister and holds a MA from Goddard College in Vermont. Along with his wife Kaye, he makes his home in southwest Washington State. Find out more about Monte at https://www.ptm.org/uni/resources/order/form_remnant.php. Glory to God in the Highest, and on earth peace to men on whom his favor rests" (Luke 2:14). The night seemed normal—nothing out of the ordinary. The shepherds were watching the sheep, just like they always did. But suddenly something abnormal happened—an angel appeared. The shepherds were terrified. After assuring the shepherds they had nothing to fear, the angel announced the coming of the Prince of Peace. Then God composed and arranged a musical anthem performed by a heavenly choir to emphasize the importance of the angel's message. The Bible uses a military term, host, to describe the angelic choir (Luke 2:13). A heavenly army came to announce peace. What kind of peace? • The peace of God is the glory of God. These lyrics, put to music by many composers, have often been called "Gloria." Real peace must first acknowledge and praise God, realizing that true peace flows from his goodness and mercy. • The peace of God is the product of the coming of Immanuel—"God with us" (Matthew 1:23). Peace breaks out when God is with us. • The peace of God comes because of the presence of God on the earth. Peace is heaven on earth. • The peace of God is given to those "on whom his favor rests." Peace on earth proceeds from God and becomes a reality for those who are blessed by his favor, and on whom his grace is given. A friend said these words to me on the Wednesday after election day in 2008. Barack Obama had just been elected President of the United States. I had joined some pastor friends for coffee at The Maze, an eclectic consignment shop in our small Southern town with a coffee bar in the back. We met nearly every Wednesday for coffee. A group comprised of a Presbyterian pastor (sometimes two), a Southern Baptist pastor, and myself, a sorta charismatic, sorta evangelical, sorta Anabaptist, nondenominational pastor. We enjoyed coffee and conversation about theology, ministry, family, politics, life, and the like, but that Wednesday morning politics dominated the conversation. Disagreements were commonplace in our conversations, but never disrespect. We loved one another and learned from one another, even though our political and theological opinions did not always line up. My friend was right in 2008. For some the election of Barack Obama marked the arrival of the one who would solve all our national problems, heal all our ills, unite everyone, and produce “change we can believe in.” For others the swinging of the pendulum from right to left meant the tragic “end” of America with a spiraling downward decent towards collapse and calamity. Despite the current political ads coming from the right and the left these days, I believe history will reveal that both were wrong. The savior did not come in 2008 and the sky did not fall. By the rivers of Babylon we sat and wept when we remembered Zion. There on the poplars we hung our harps, for there our captors asked us for songs, our tormentors demanded songs of joy; they said, "Sing us one of the songs of Zion!" ﻿One of our lifelong goals is to "find our way home." In the Gospel of John, Jesus assures his disciples, and by extension all those who would follow Jesus throughout all time, that he is preparing a place for us (John 14:1-3). He is preparing a place and he will return to take us with him, so that we may be where he is, so that we might be home. CWR Magazine is published solely through readers' donations. Click here if you'd like to partner with us in creating the magazine. I have never been able to read the parable of the vineyard workers (Matthew 20:1-16) in the way that I always hear it explained – as being about some people coming to the party late. When I read it I see that the ones chosen last had been there since dawn and no one wanted them. It seems to me that the first ones picked were the fittest and strongest; then the next ones picked were less so. And finally, those left with no one who would employ them were the elderly, the sick, the overweight (generally those who were not desirable). It sounds like kids picking teams for sports when the least popular were always left unpicked. In this context, this parable sounds like the draft, the work refers to this age, and the pay refers to the final judgement. So those who benefit most in this age – those who’s “faces fit” gain little at the judgement but those who have no “value” in this age gain the most. The pay is the same, but one group, who had nothing, now has everything. “In this way, the first will be last and the last will be first” – those who are unvalued by the world gain the most and those who are valued the most in this world gain the least.